SINGAPORE - Undergraduate Chin Joon Keat describes himself as a person with many different hobbies. The 22-year-old enjoys producing special effects videos with virtual 3D models, and he once tried making a high-power laser all by himself - though it was unsuccessful. When the chance came for the Singapore University of Technology and Design (SUTD) student to visit the United States and take up short courses and workshops in his varied areas of interest, Mr Chin jumped at the chance. He is part of a pioneer batch of 40 SUTD students who spent three weeks at the Massachusetts Institute of Technology (MIT) in Boston this month, attending courses ranging from cooking to ceramics to video production. Known in the city as the "winter independent activity period", it has been MIT's tradition for the past 40 years to keep students free in January so they can pursue short courses they like - even if they are unrelated to their course of study. The tradition was later picked up by the SUTD when it took in its first batch of students in 2012. 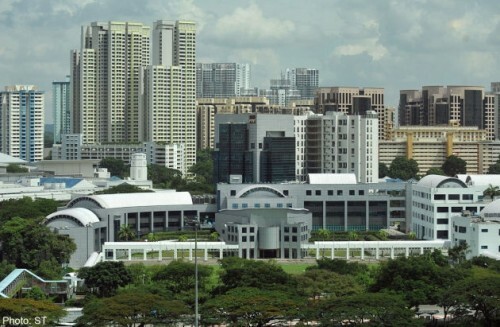 Singapore's fourth university's version focuses on engineering, design and technology and is a collaboration with MIT. This year is the first time SUTD's students have travelled to Boston to live and breathe the MIT winter experience. They have also been able to go on a two-month exchange programme to MIT in June under its Global Leadership Programme. This involves them having to work on a specific project such as making an electric car. The winter independent activity period, however, encourages students to pursue topics they like, which could be hard to do in the semester. Mr Chin, who also took short courses in computer-aided design, laser communication and cross-cultural collaboration, said he decided to join the MIT programme to experience the university's culture. "I've always been told that SUTD is a collaboration with MIT, but I didn't know what the MIT culture was like," he said. It was a similar story for schoolmate, Poh Wen Ya, 21. "I really wanted to experience how being a college student in America was," she said. Ms Poh opted to learn how to make a radio-controlled aircraft out of styrofoam during her short stay in MIT. "As an engineering systems and design student, I do not build physical devices in my course as my topics of study are about operations, processes and systems," she said. While Ms Poh's aircraft crashed into a tree after a mere 20 seconds, it was still a satisfying experience. "The flying experience was really exciting because I got to build the entire styrofoam aircraft from its raw parts... It was awesome to fly something I made myself," she said. For the other students, it was an eye-opener to see how students in MIT learn. "They are very vocal here, it is fine to interrupt, and speaking up is encouraged," said 21-year-old Goh Chian Yee. "The students want to hear our opinions and it sparks more ideas, and makes discussions more fruitful."